The Ozone and Water Vapor Group conducts research on the nature and causes of the depletion of the stratospheric ozone layer and the role of stratospheric and tropospheric ozone and water vapor in forcing climate change and in modifying the chemical cleansing capacity of the atmosphere. This mission is accomplished through long-term observations and intensive field programs that measure total column ozone, ozone vertical profiles (ozonesondes and umkehrs), ground level ozone, and water vapor vertical profiles in the upper troposphere and stratosphere. The OZWV group conducts several measurement projects at multiple sites around the world. 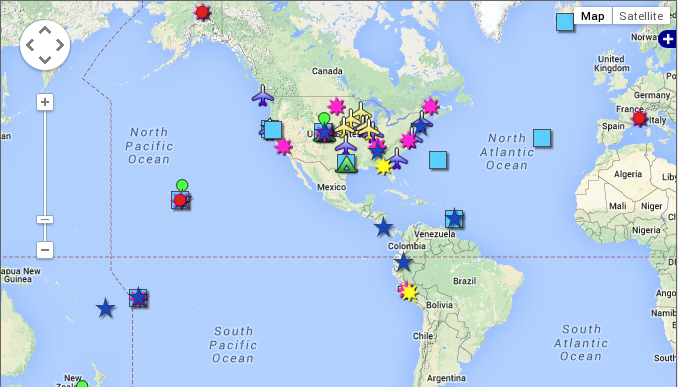 This page displays a map and listing of the sites. Column measurements of ozone are made as part of a global network for detecting and understanding atmospheric ozone change. The Dobson spectrophotometer that makes the total column measurements is also used at six locations to measure ozone profiles using the umkehr technique. At several locations the measurement record is 40 years in length. Near ground level ozone is currently monitored using ultraviolet absorption photometers at eight sites that are generally representative of background conditions. 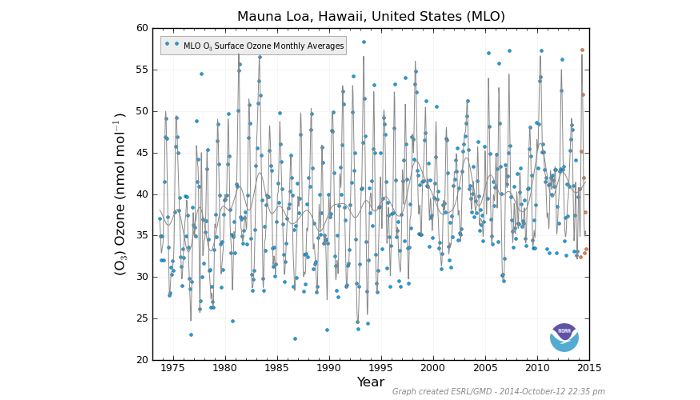 These sites, four of which have records exceeding 25 years in length, provide information on possible long-term changes in tropospheric ozone near the surface. The GMD Tropospheric ozone aircraft measurement program is being done in conjunction with the Global Greenhouse Gas Reference Network's existing aircraft sampling network. 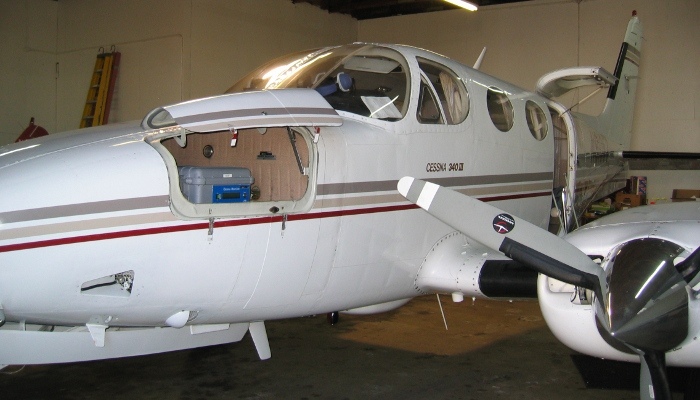 Aircraft based in-situ Tropospheric ozone measurements provide data relevant to: pollution events, lower atmosphere mixing dynamics, boundary layer stability, ozone trend studies, and the validity of other samples collected in-flight. Ozone profiles are obtained routinely (usually weekly) at eight sites using balloon-borne, electrochemical (ECC) ozonesondes. The profiles provide ozone, temperature, and humidity information from the surface to approximately 32 km. Both stratospheric ozone depletion at the South Pole, and anthropogenic and natural tropospheric ozone changes are studied. Balloon-borne, cryogenic frost point hygrometers are launched from Boulder, Colorado, Hilo, Hawaii and Lauder, New Zealand to obtain vertical profiles of water vapor in the upper troposphere and lower stratosphere (to ~30 km). 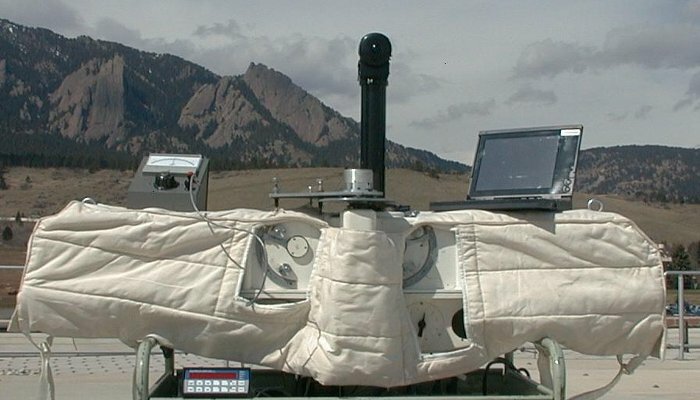 Water vapor soundings over Boulder (since 1980) provide a unique long-term data record that may reveal changes in atmospheric dynamics resulting from climate change.